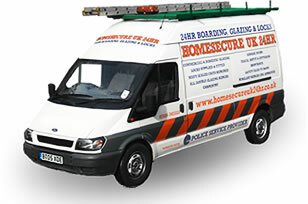 Service: Emergency boarding & glazing, glazing repairs. Registered office and postal address: 2 Wallis Road, Kettering, NN15 6NX. Regulating body: Chas Accreditation, UK Trades Confederation. General work guarantee: All works guaranteed for at least 3 months from date of completion, this covers parts and labour. Please see our full guarantee document, which we provide, for further information. Your statutory rights are not affected by our guarantee. Glazing repairs & double glazed units guarantee: Guaranteed against condensation for 5 years from date of repair/installation. Roof repairs guarantee: Guaranteed against leaks for 12 months from date of repair. Complaints: Complaints can be made by contacting Mr. Peter Gudgin at the above address.